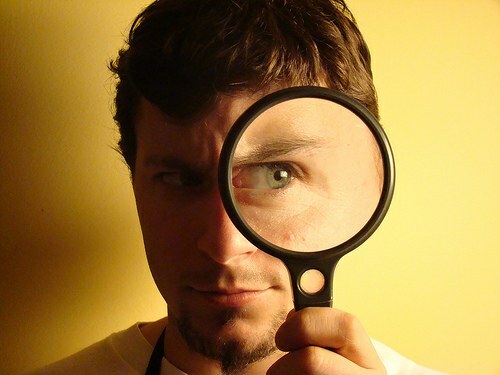 A special tool magnifier Windows operating system allows you to zoom in on the screen in the designated field. If you have some time, used a magnifying glass, but you need to remove it from the screen, perform one of the operations described above. Right-click on the area of the screen which reflected the magnified loupe image. In the drop-down menu, select word hidden. Also with the help of the context menu invoked with the right mouse button, you can exit the magnifier. To do this, hover the mouse arrow on the word "Exit" and press the left button. While using the magnifier you have on the desktop on top of other Windows may be the window with the title "magnifier Options". In the lower part of this window is a button "Exit". Clicking this button will exit the magnifier. At the bottom of the monitor screen is the "task Bar". Find it a rectangle labeled "magnifier Options". Right click on this rectangle and select "Close". Magnifier is closed. If for some reason your computer became slow to perform functions in the moment magnifier works, you can disable it using "task Manager". Simultaneously press the combination of keys Ctrl, Alt and Del. After a few seconds a window appears "task Manager". Select the Processes tab at the top of the window if it is not selected. You will see a list of running applications and special programs of the computer. Locate the inscription magnify.exe and, scroll to it. Click on the "End process" in the lower right corner of the window. Perhaps the magnifier, spelled out in the startup operating system. In order for it to be removed, you will need to go to the startup setting. Click "start" in the window that appears the word "Run". A window will appear starting the program. In the field available to enter text, type the word msconfig and click OK. Open the system preferences window that has a tab "startup". Using the slider, scroll down the applications list and uncheck the item corresponding to the magnifier. If you want long term increase the size of the image on the monitor, then use the change screen resolution. But in order to get the same effect in the short term and not for the entire screen in Windows is "magnifier". The manage is designed so that the trip mechanism of the magnifier is not as obvious as a mechanism. If you need to disable the on-screen magnifying glass in the process, i.e. to remove an enlarged image of the portion of the screen, the easiest way to do this with hotkeys. This operation is assigned to the combination WIN + ESC. If you need to do to disable the magnifier that comes with the download of the operating system, then it must be done through the Windows control panel. To access the functions pane, expand system main menu by clicking the start button or press WIN, and then select corresponding points ("control Panel"). Click Optimize image on the screen" in the section "Special features" in the control Panel. This will open a window with plants image optimization, the section "zooming the screen" option which is placed on and off the magnifier. Note: if the control panel click the link "ease of access Center", not "Optimize images on the screen", there you will also find a section dealing with the magnifier. But it has only the option on the magnifying glass, selecting disable in the panel window, no. If you're using Windows 7, the path to this partition can be reduced by opening the main menu on the "start" button, type in the search query box the word "magnifier". The link to the desired section of the settings window image optimization will appear in the search results - click it. Find the words "Turn on magnifier" and the checkbox next to it. The presence or absence of a mark in the checkbox, as you might guess, and determines whether to run this part of the operating system at every boot of the computer. Remove the checkmark and click "OK" to change and fix the related Windows settings. 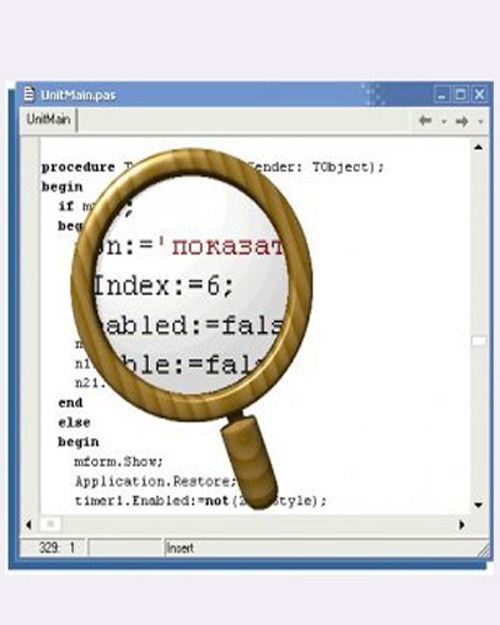 Magnifier is a utility of Windows operating system which is used to increase working space. Magnifier is perfect for product demonstrations, training sessions and presentations, when there is a need to focus on any element. To launch the utility "Magnifier" (Magnifier) to open the start menu, go to the tab "All programs". Click "Standard". In it you will see the submenu "Special features", which, in addition to the magnifier, start on-screen keyboard or open the "utility Manager". To start magnifier click on the application shortcut. Every time to do this way is inconvenient, so if you use the tool "Screen magnifier" quite often, create the application shortcut on the desktop or in the quick launch. This will facilitate access to the application and save your time. If the first method of starting the application does not suit you, you can call the utility using a special command. To do this go to the start menu and click Run. At the prompt, enter the command magnify, and then click Ok. In the default settings magnification window that shows the enlarged image opens in the top of the screen. To change the location of the window, click and hold the left mouse button inside it, then drag it to the desired area. To change the window size, set the mouse arrow on the edge of the window and drag it in the direction of increase or decrease. Also in the program settings you can specify the zoom scale, his regime and the region. After running the tool "magnifier" information window will open, if you do not need it, check "don't show this message" at the bottom of the page and click Ok.
Magnifier is an application that allows you to enlarge the image on the computer screen. This feature is useful primarily to those who are experiencing difficulties in viewing small in size objects. Click the "start" button, which is located in the lower left corner of the screen. Select "Standard". If you do not see the inscription "Standard" in the drop-down list, first click on "All programs." Then, in the list of installed programs, select the "Standard". Click on the tab "accessibility" and select "magnifier". After that, you will see a window with the enlarged image in front of you objects. The application window initially will be stretched to the entire screen area. In order to view the items in that part of the screen which is not visible in the window "magnifier", move the cursor with the mouse in the desired direction. To zoom an image, press on the circle with a plus. If you want to zoom out the image, then click the circle with the minus. In order to increase the whole screen, only some certain area, go to the menu "Views" and select "Increase". In this mode, the magnifier will move with the cursor. In the window of the program will be displayed in an enlarged view of only the objects near the pointer. If you want to "magnifier" was fixed in any part of the screen, the menu "Types" section, select "Fixed". This operation will make the location of the program window by moving the cursor. In order to control the "Screen magnifier" with the keyboard, click the gear icon in the program menu and in the list that appears, select "Follow keyboard focus". Now when you press the proper arrow in the window of the magnifier will be shown on your screen. If you need to increase the process text input, also tick the label "magnifier follow the text insertion point". This feature will allow typing to do without using the mouse or the arrow keys.